Home to 15 Fortune 500 companies like Delta Air Lines, The Home Depot and The Coca-Cola Company – and the busiest airport in the world, Hartsfield-Jackson Atlanta International Airport – metro Atlanta is thriving and there are many advantages to living, working and playing here. 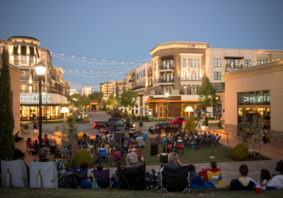 In order to find out exactly what makes this area “the place” to live, KNOWAtlanta asked some of the area’s top company executives, chamber of commerce chiefs and city officials three simple questions. What are three reasons why people/companies relocate to metro Atlanta? 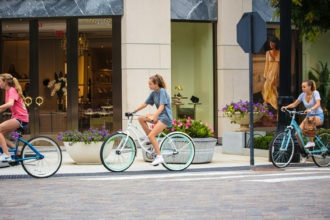 Metro Atlanta – in particular, Midtown, where [my company] is located – is undergoing an impressive revitalization. There is an amazing energy that exists here and it is growing by leaps and bounds. The area is flush with entrepreneurial attitudes, cultures and ideas. This, in turn, is attracting more and more professionals to work, live and play here. Add a well-educated, energetic and immensely talented population of young professionals to this environment and you have the right mix for explosive growth and innovation. We have great weather, a reasonable cost of living and plentiful recreation, culture and special events. There are world-class educational institutions, and quality of life assets like good climate, low cost of living, art, culture, entertainment and sports. Atlanta is an international city: A truly diverse, multicultural region. It’s a place where you can grow in place. Atlanta has a lot to offer for all stages of life. There are lots of great schools in town and in many of the suburbs. There are a growing number of active living options for empty-nesters and older adults. The Home Depot is No. 23 on the Fortune 500 list. We have a diverse, young and educated workforce. Companies know they can come here and find the employees they need. 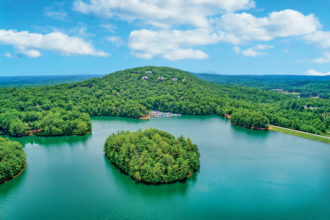 Georgia is consistently ranked as one of the best places to do business. We have incredible support for business at all levels of government and among top leadership in the state. Atlanta is home to one of the most powerful transportation hubs — Hartsfield-Jackson Atlanta International Airport (the busiest in the country). Access to one of the country’s major international airports makes Atlanta the hub for the Southeast. 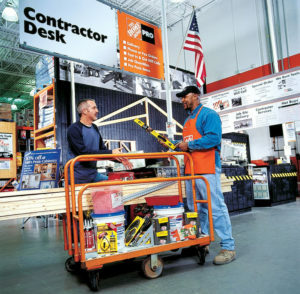 It is important for major companies such as The Home Depot to be close to an international airport with non-stop access to major cities like New York, Chicago and Los Angeles. Also, with close proximity to all the major highways, we are able to move products from our distribution center throughout the Southeast. And the deepwater seaports in Savannah make for great shipping access. Atlanta is home to distinguished universities like Georgia State University, Georgia Tech, the University of Georgia, Emory University and Kennesaw State University, which make the city a hotspot for young, educated professionals. Learning establishments such as these produce top-quality employees and a highly educated labor force. We source from a diverse pool of college graduates and MBAs who specialize in a range of fields from IT to logistics and finance. The concentration and diversity of Fortune 500 companies in Atlanta make this one of the most interesting cities in the South. Atlanta has big city events, football, baseball, basketball and soccer, all with a small-town charm. How would you sell metro Atlanta to someone/a company looking to relocate or start a company here? 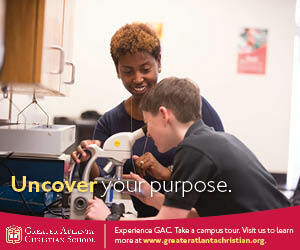 Atlanta has great entrepreneurial opportunities and career options and access to excellent education. Also, affordable home prices and a great diversity of housing are a strong draw for families. In addition, a growing automotive industry — Mercedes-Benz and Porsche U.S. will be headquartered here in the near future. Atlanta has a great climate, scenic (lots of trees), rolling hills, rivers, etc. 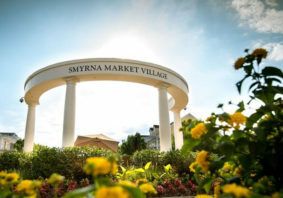 And its reasonably close to the Atlantic Ocean, Gulf of Mexico and mountains for family getaways. workforce. Our local institutes, universities and colleges continue to produce a well-prepared population of young professionals to feed Atlanta’s needs. In addition to this local talent, Atlanta is the primary regional draw in the Southeast for young professionals, pulling highly motivated and talented individuals from the region and the rest of the country to our fabulous culture and climate. Metro Atlanta is booming in investment and business growth because of an incredible climate for business. We have a great workforce for all types of industry, and economic development support to ensure business investments are fully supported. You have access to just about anywhere in the U.S. and a lot of international locations on direct flights from Hartsfield-Jackson. We have an excellent network of colleges and universities and there is a reasonable cost of living. The beautiful thing about living in one of Atlanta’s many suburbs is that there are great metro amenities just 30 minutes away. At the same time, the suburbs are developing their own fantastic, interesting and distinctive downtowns. Suburban communities are creating their own identities. 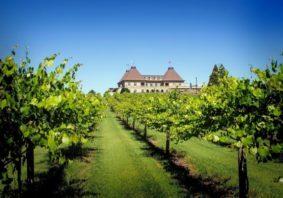 No matter where you live in the metro area, there are great places that have unique personalities and wonderful amenities, places that offer a host of great reasons to live there. 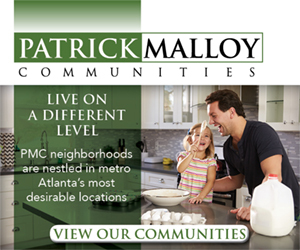 Metro Atlanta is very affordable compared to other metro areas around the country. This affordability provides for a great lifestyle. Your employees will love living here. Simply, Atlanta has it all. A relocating company would join the ranks of The Home Depot, The Coca-Cola Company, UPS and Delta Air Lines. We have higher education institutions like Georgia State University and Georgia Tech, both conveniently located in Midtown. You can travel to one of the best airports in the world, Hartsfield-Jackson, via MARTA. We have great shopping, restaurants and hotels. And then there is the weather: the perfect combination of all things good and that makes for happy employees. There’s a robust entrepreneurial ecosystem, educated workforce that can be tailored to a firm’s specific needs via the Quick Start program, and favorable cost of doing business: labor, facilities, operations, transportation and tax credits for new job creation. We also have highly developed transportation systems and a strong collaboration between government and business. How might you describe the “Atlanta advantage” to relocators or anyone unfamiliar with the metro area? Atlanta is really hot right now! We’re seeing tremendous growth and an increase in investments all across the board. Atlanta’s support system for both start-up and established companies that have relocated here is a true advantage. For start-ups, we have a flourishing community of like-minded entrepreneurs making their mark in a number of industries. We have accelerators, incubators, mentoring and networking support for young companies along with the funding sources that are needed to fuel these endeavors. Atlanta’s entrepreneurial culture has exploded over the last decade. 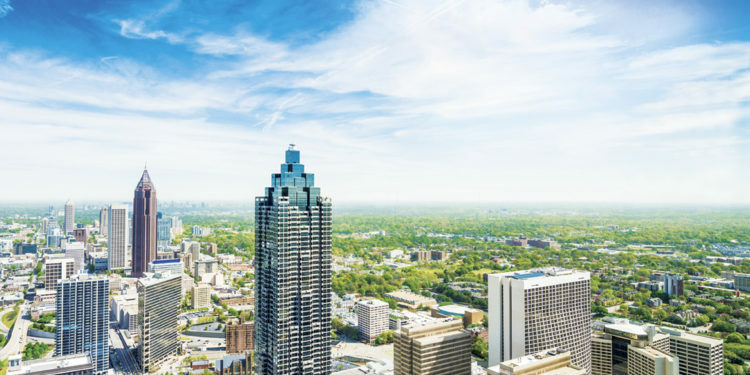 For established companies relocating to Atlanta, the coordination between the Georgia Economic Development team, Metro Atlanta Chamber, Governor’s Office, Atlanta mayor’s office and other state and local support groups is truly a gift to our community. They do a phenomenal job recruiting and supporting companies that choose to put down roots here in Atlanta and the state. 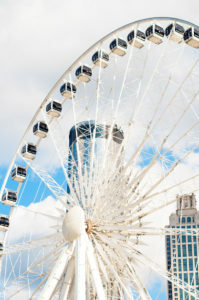 SkyView Ferris Wheel in downtown Atlanta. 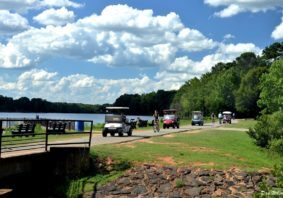 Atlanta’s advantage is its location in a good temperate climate with relatively bearable winter and summer weather. 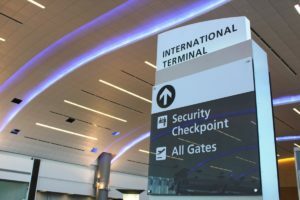 In addition, having access to the U.S. and the world via the airport through mainly direct flights make business and personal travel significantly easier. Atlanta is attractive because it has a solid education system, which is a strong draw for employees and families. A well-educated talent pool, combined with a low cost of living and superior quality of life, make Atlanta a great place to call home. The city is also an attractive place for sports fans with SEC championship games and NCAA playoffs held here. Atlanta has everything a business or a person could want, all in one place: great climate, very reasonable cost of living, highly developed infrastructure, quality of life assets, access to the region, nation and world via planes, trains and automobiles, and a leading education center with unlimited educational opportunities. Atlanta is a center for technological innovation, a business-friendly environment and offers material and financial support for entrepreneurs.